Regardless of the fact that I have already written a post about Falling for Fudanjuku, I feel that I need to talk about them more to really get these guys out there for people. I also want to introduce the group in more detail so that there is a better understanding for people who are coming to know the group as they are right now. Or because I just love this group enough to dedicate two posts on them that don't relate to reviews in any way. There is something about Fudanjuku which makes me continuously fall in love with them, an amazing ability that allows me to fall in love with this group with every release they bring. No other Idol group, not even Morning Musume, has ever made me feel this way. So needless to say, Fudanjuku are quite a special group, or at least to me. However they are one of those groups who aren't as well known as others, and they don't get the recognition that they truly deserve, despite the amount of popularity they have coming in now thanks to their individual style and look and their originality as a group. So I want to introduce you all to one of my favourite Idol groups, Fudanjuku. They are an all-female group who cross dress and inspired by the Otaku culture of Japan. There is a female alter-ego to their group, the Nakano Fujo Sisters, who are currently on hiatus, and undeniably less successful when compared to their male counterpart Fudanjuku. The groups were created in 2006 and 2008, however their activities did not begin until later on in 2008, when Fudanjuku released their very first single, Otokozaka which included their female counterparts as hostages in the video. I came to know of Fudanjuku through my sister, who was a fan of the Nakano Fujo Sisters at the time. She was listening to their first, and only, original single song Honey Bee~, and was clearly a fan of the group. I think that she was honestly disappointed when I found no interest in the girls at all, and for a while I did care very little for both groups, up until early 2012 when Kaze Ikki came out. 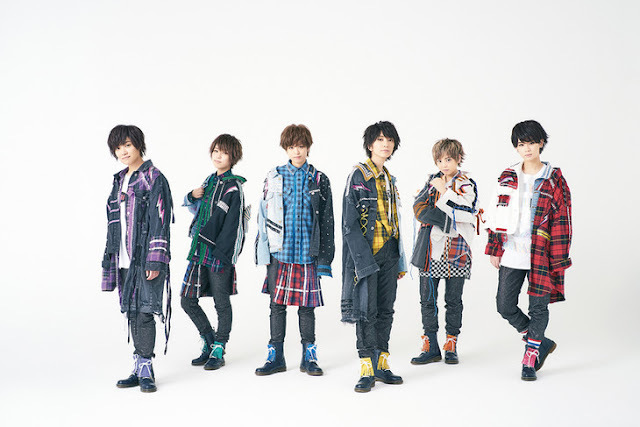 After that, I couldn't get Fudanjuku out of my head; I had fallen for the group, and after that, I started to listen to their songs more and more, even finding different video sites to just get a taste of their older sounds, back before I had really given them any credit. I soon found great love for their song Katsunda!, a song which I had originally disliked for how weird and wonderful it truly was. And I have pretty much been hooked ever since the beginning of the year on this group. With every release they bring out, I find them so much more to love about them. Everything they release, I have found that I just fall for them even more. Maybe it's their passion, or maybe it's their love for the group, who knows? All I know is that I really adore this group, and since the release of their latest PV, Jinsei Wahaha!, I have found myself researching this group a little more, especially after talking to two fellow Fudanjuku lovers on Facebook. One of these lovers is quite a new fan, newer than I am, so I suggested that I write an Introduction post on Fudanjuku, even though they have been featured here quite a bit already. And so here we are. 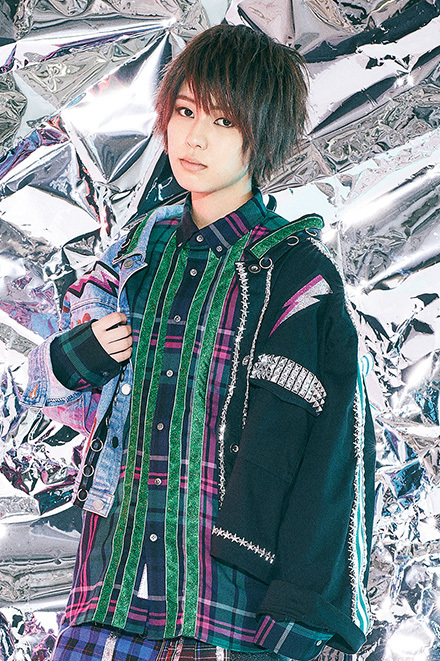 Kana is, in a sense, a third generation member of Nakano Fujo Sisters, having joined the group in April 2010 for their fourth single release Muteki! Natsu Yasumi. In middle school, she was scouted by Hanawa, but she turned down the offer. She attended music school after randomly seeing the first Anison Grand Prix, and was the winner of Fukuouka round and part of the top 4 in the 2009 Animax All-Japan Anison Grand Prix. Out of all the current members, Kana is not a gravure Idol and has been the least active members in terms of outside activity. She is obsessed with Rilakkuma and is a fan of the artists L'Arc~en~Ciel, Lady Gaga and BoA. Since Fudanjuku, she has been on Television a few times. Kouki joined Fudanjuku in 2010, convinced that the group was actually a secret society, and is a lover of Mystery and the Paranormal. 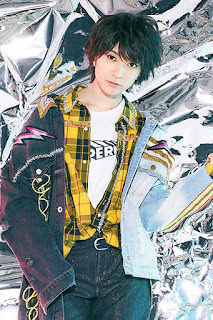 In Fudanjuku, Kouki is a lead singer with a strong voice, and is also the third member to inherit the colour yellow since joining Fudanjuku, with the first being Zan Kisaragi and then Kanbee. During his early days in the group, it seems that Kouki was bullied by the members, though Renji seems to have a soft spot for him. Once again, I don't believe that Kouki is a girl. He has balls, damnit! That said, I really like Kouki, and I think that he has a brilliant voice. I'm actually surprised that he was one of the newer members, mostly because of how polished and professional he is within the group. Kouki seems to really love being a part of Fudanjuku (all of them do) and it really shows in the videos. He is enthusiastic, and such a joy to watch. I love his voice! As Kana, I'm more-so surprised at how little she has done outside of Fudanjuku and the Fujo Sisters, but 2010 seemed to be her entertainment debut. Hopefully she will release some photobooks or DVD's at some point, because she is really pretty. Aihon joined the Nakano Fujo Sisters in Deceber 201, however her career started in 2000, when she won the Grand Prix for the Tomy Karaoke machine audition for a new image girl, where she beat Morning Musume's Niigaki Risa. She went on to appear in magazines as well as become an exclusive model for Pichi Lemon. She also became the image girl for Miracle Commune, a hand-held game, before working as an actress for a few years. She has appeared in popular Drama's, movies and worked in stage plays, as well as released a photobook and Idol DVD. 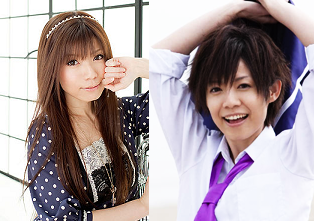 Kensui joined Fudanjuku in December 2011, debuting in 2012 with the song Kaze Ikki alongside fellow member Ryouma. He joined due to being impressed by the rumours he had heard about Fudanjuku's activities. After joining, he has become a front member and has great vocals. As one of the newer members, there really is not much information about him on the web. As Kensui, in an interview it has been suggested that he likes Aihon and may go out with her (which is funny xD). Kensui likes to make jokes and have fun and enjoys doing things which make others smile. 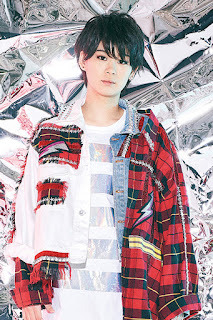 I think that Kensui is a great member; he has strong vocals which will help to carry the group alongside Koji and Kouki, and is lead material, His years of experience as an actress in his female form have given him great confidence which translates through the PV's. He has undeniable camera presence, and he makes sure that you know he is there, whether he is simply looking at the camera or singing. I like that he has this confident, knowing aura about him. He is a great addition to the group, and his sudden front-man position has not gone unnoticed, and he is totally deserving of it. As Aihon, I was really surprised that she was the winner of the audition that Niigaki Risa was a part of. It was shocking in a sense, but the win has allowed both the girls to grow individually as people, with both ultimately joining groups in the end of it all. I was surprised, but I am happy that through her days as an actress and model, Aihon was able to become a singer and share her passion and talent with Fudanjuku. 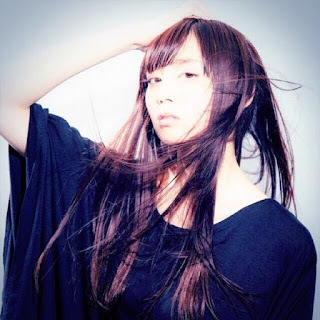 A talent under K-Dash, Kanae has pursued activities within the entertainment industry from as early as 2013. 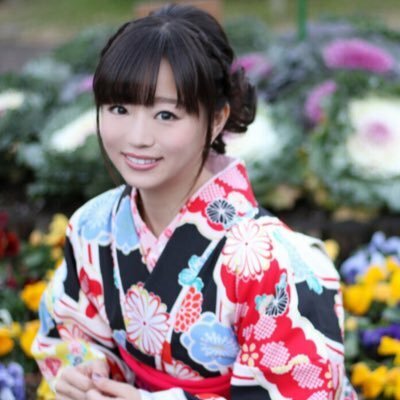 She has appeared in internet broadcasts, on TV, and was also a part of the Yukata Dancers in 2014. In 2012, Kanae moved from Osaka to Tokyo in order to attend Tokyo University, and has been enrolled since 2014. 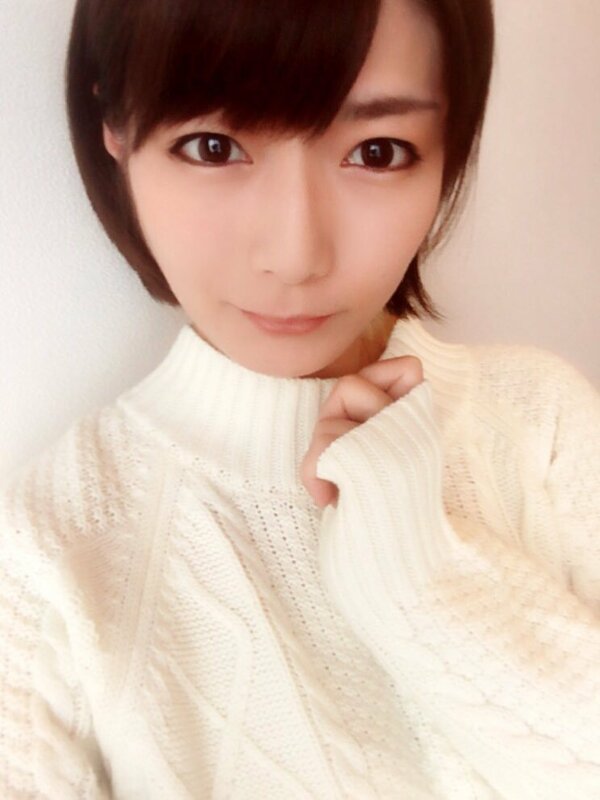 Kanae joined Fudanjuku in December 2014, two months after the graduation of then Leader, Momotarou. 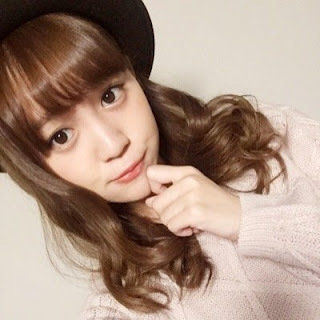 She has experience in street dance, which has been showcased in her debut music video as a member of Fudanjuku. She claims that she is bright and happy, and that her personality is pretty goofy. The youngest member within the group as it stands, Light joined Fudanjuku in December 2014 as the groups then newest member. Don't let such cute features trick you, though, because whilst Light may look young and sweet, he may just be a force to be reckoned with! Debuting with the single Shunkan Tourai Future, Light was able to showcase his talent in street dance, thanks to the intricate choreography of the song, as well as a solo dance sequence in the instrumental break for the song. Currently, Light is the shortest member within Fudanjuku. Since I haven't really followed the group much since Light joined, I don't have a well-rounded opinion on him as of yet. That said, I find the persona of 'Light' is cute, and very, very bright. Orange is a fitting colour for this member, and it seems that he has made a dent in Fudanjuku as one of their most talented member, at least in choreography. I actually really like seeing Light's face in MV's, and just think that he is a very refreshing member for Fudanjuku. He's cute, like a little brother, and endearing. If I get back into Fudanjuku at some point, I have a feeling it is this cute and energetic Orange member I will find myself clutching to, more than anyone else! As Kanae... well, wow! Isn't she cute!? I can see why she was picked as a talent. Her looks are very sweet, and a little unique, with her light hair and child-like face. I think she even has freckles! Kanae is really pretty, and has this innocent air about her, though when she dances, she looks so fierce and proud! I want to see more of both Light and Kanae, because honestly, I think I could see myself cheering them on most... She's too cute to deny! Rei joined Fudanjuku as her counterpart, Leo, in April 2016. 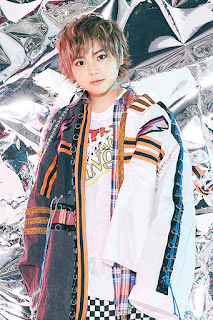 Little is known about Rei prior to her debut with the group, so it can be assumed that, until joining Fudanjuku, she was just an ordinary girl with aims to debut in the entertainment industry. It can be assumed that Rei has prior training in classical ballet, however, little else is known about her. She is as much a mystery as her male counterpart, as of right now. 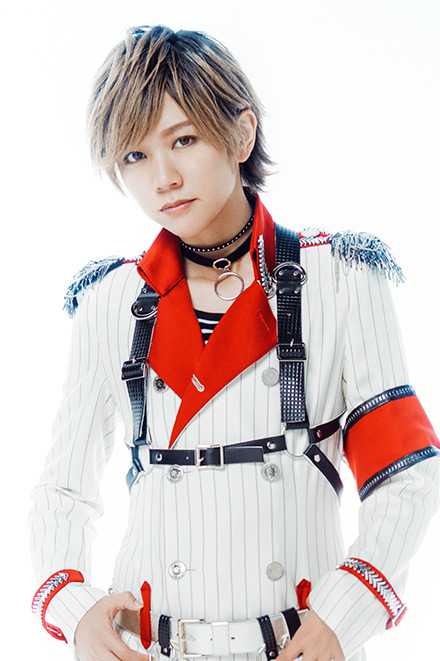 Having joined Fudanjuku back in April 2016, Leo is currently the newest member of the group, as well as the second youngest. With a husky voice and handsome face, there is no denying that Leo is a great addition to the group in looks. Debuting with the mature single, NOIR, Leo showcased his flare for classical ballet, proving to be as graceful as he is handsome. Of all the members with an 'Otaku' trait, Leo admits that his is quite strange, as he likes smells. His favourite smell is that of the Iris, so it can be assumed that he enjoys beautiful fragrances above all. Before joining Fudanjuku, little is known about the mysterious entity that is Leo. Shrouded in mystery, I wonder what Leo is truly like...? Leo seems like a really cool character, with a great amount of confidence and style that could rival that of Kojiro's! I feel like he is going to be a force to be reckoned with, after some time, and I honestly look forward to watching him grow within the group. He feels super mature, too, and looks it. He seems so graceful, as well, which makes sense, given the interest in ballet. Because I don't know much about him, though, I can't really say a great deal... still, Leo feels super promising, much like Light, and heck, I feel like NOIR was the perfect debut for such a cool, mysterious guy! As Rei, I have less of an opinion. There's not much information about her, but hoenstly, when I first saw her image, I was like 'wow, what a beauty!'. There's such a stark difference between 'Rei' and 'Leo', it seems, with Rei seeming softer, but still quite defined in her looks, and Leo looking quite sharp and masculine. A wig can really do a lot, huh? Both are interesting, that much can be said, and I look forward to seeign just what Leo can bring to Fudanjuku! Before joining the entertainment industry, Kiko had lessons in horseback riding, and has also studied abroad in Seoul, Korea as a University student in the department of Drama and Film, but before joining Fudanjuku, she has had no prior experience within the entertainment industry. On March 10th, 2017, she was announced as one of two new members for Fudanjuku. She made her debut on March 17th, the graduation day for both Kouki and Uramasa. 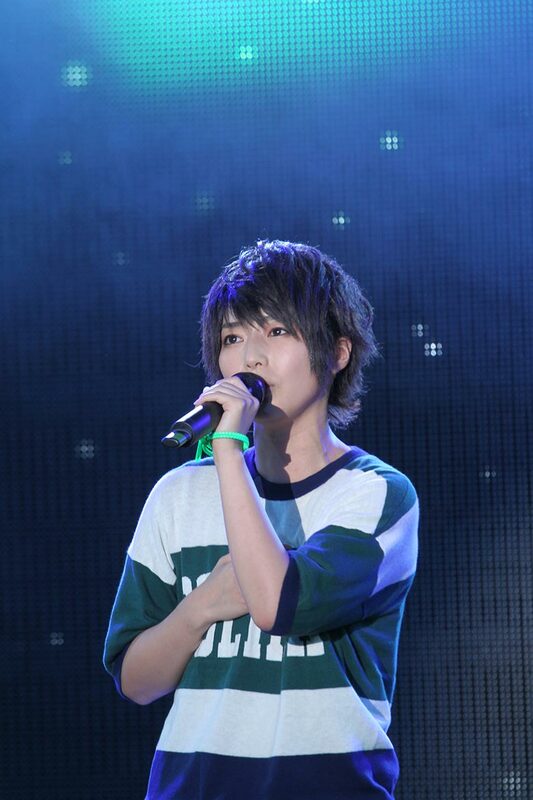 Masaki is one of the newest members of Fudanjuku, with very little background in the Entertainment industry. Introduced properly on March 17th, 2017, Masaki has taken on the powerful red colour from former original member Kouki. It seems that Masaki is a lover of sleep, and whilst I am unsure of his Otaku charm point, I think being the 'sleep' Otaku is appropriate right now. As someone who isn't keeping up with Fudanjuku, I can't say much other than that I think I'd get on well with Masaki. I'm a big sleeper, so to know there's an Idol who sleeps as much as I do is kind of refreshing! But, aside from that common habit we both have, Masaki honestly looks quite broody and handsome. It seems like the duo we have been given with both Masaki and Sora is a cool type, and I look forward to seeing them both develop as members and performers. Because Masaki is so green especially in terms of being an entertainer, I anticipate Masaki's growth most. Habits: Grinning, especially when meeting someone's eyes. 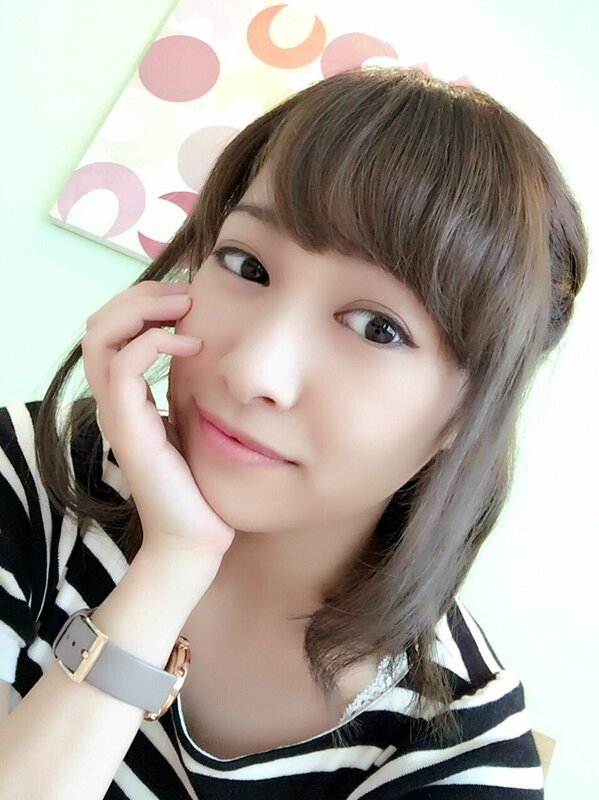 Emi has been an active member of the idol scene since as early as 2013. She has been performing and working consistently, singing anime tracks live and being featured on TV shows. On March 10th, 2017, Emi was introduced as a new member of Fudanjuku, seven days before Kouki and Uramasa were set to graduate. 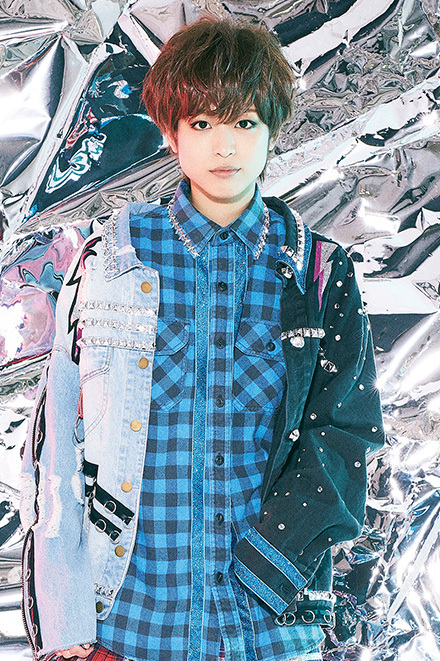 Her stage name for the group is Kusakabe Sora, and she is an 'Anime Otaku'. Sora was introduced as one of Fudanjuku's newest members on March 10th, 2017. He is an Anime Otaku with a love for CLAMP, and has inherited the Green member colour from Midorikawa, one of the original members. 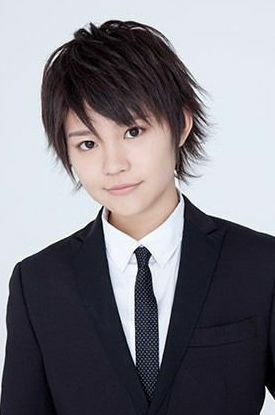 Currently, Sora is the youngest member of Fudanjuku, and is a member of the K-Dash stage agency. I really don't know much about Emi herself, but given her background in singing on stage and performing anime tunes on TV, it seems she is a very persistent and hard-working idol, so it's nice to see that she has managed to come into a group that thrives on an Otaku-like nature. Her passion really matches the group, and whilst I have not seen her in action yet as a member, I feel like she has this cool, powerful aura that is fitting for Fudanjuku. As Sora, I really love how 'he' looks... there is such a cool presence coming from Sora, and the green colour is fitting! I don't know why, but I think that both Sora and Leo would match really well together! I hope to see Sora grow from here on out. Though I am not as active with Fudanjuku right now, I feel like Sora - much like Light - is going to be a force to be reckoned with! Ura Erika is an original member of Nakano Fujoshi Sisters, joining the group in 2006 before their official debut. She has been modelling since 2003, and has released 8 gravure DVD's, 3 digital photobooks and one physical photobook, as well as appeared in stage plays, drama's and a movie. She has also been a part of two gravure units, Wataame and Hime, as well as participated in professional wrestling events since 2006. She was an official Hello! Project wota, being a fan of Yoshizawa Hitomi and Konno Asami, and is obsessed with many different Idols. Uramasa is, in short, a tough guy. 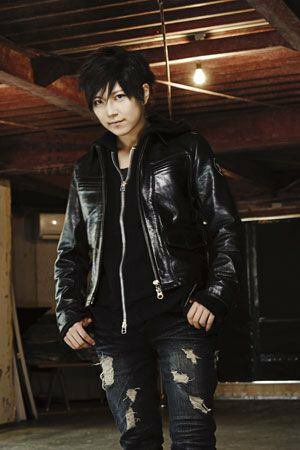 An original member of Fudanjuku since 2008, Uramasa is a competitive, aggressive and driven young man who seems to be very determined to do what he can to toughen up. His main hobby is weight-training, and he prefers to fight rather than talk. He has remodeled his back yard and used that to train himself, and made his pro-wrestling debut in 2009, showing that his determination has worked and lead him to something that he loves. He seems to bump heads with Renji a lot, considering they are both hot-headed. On March 17th, 2017, both Kojirou and and Uramasa graduated from Fudanjuku after serving 10 years with the group. With both graduations, this showed the end for the remaining original members of the group. Uramasa seems like a tough guy, one who is driven with determination to succeed in something that he loves and is passionate about. As a member of Fudanjuku, I really like Uramasa; he is one of the members who truly stand out to me, mostly due to his cute face which does not correspond with his tough-guy personality at all. In a sense, I find him quite refreshing to watch. He seems to be very passionate about everything he does, which is a great quality, despite how rotten his personality and traits may seem to others. As Erika, I really don't pay much attention, but even in her real (female) form, you can tell that she is very passionate about pro-wrestling, and that it isn't just an act; She seems determined no matter what, whether she is tough like Uramasa or pretty like Erika. I like this quality about her, and it makes seem so much more realistic to her male counterpart. Konan Yuka debuted in 2001 as a member of the group SOUL TIGER, before it disbanded the next year. After that, she joined three one-time units: Nikomono! 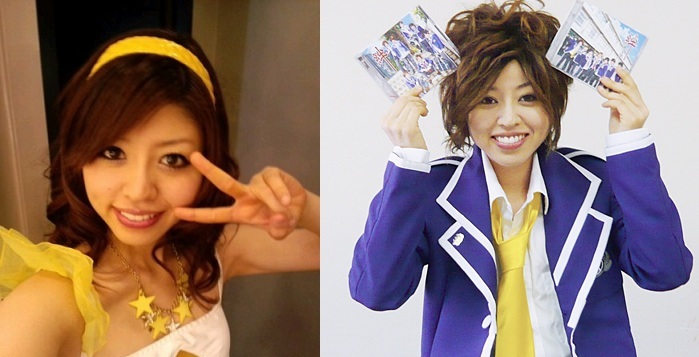 in 2005, Soran Happies in 2005 which disbanded only two months after their debut, and Ragna☆Girls in 2007. Yuka may have joined the Nakano Fujoshi Sisters around this time, or around 2008 before the official debut of Fudanjuku. She has currently released two photo-books, an Idol DVD, a single in 2003 alongside her photobook as well as starred n various commercials, drama's, TV shows, a movie and a documentary. She was also a model for the teen magazine Nicola, and is vice-president for Inui Youku's company, PPEnterprise. Kojirou has been a member of Fudanjuku since September 2008, making him a member of the original Fudanjuku line-up alongside Momotarou. He moved from Hokkaido to Tokyo during his first year of high school, and is seen as a flirt when really, he is very serious and a devoted hard worker. Koji's family is actually very poor, so he works part-time to provide for his younger brother and sister. Apparently he is also a bit of a narcissist. On March 17th, 2017, both Kojirou and and Uramasa graduated from Fudanjuku after serving 10 years with the group. With both graduations, this showed the end for the remaining original members of the group. Kojirou passed on leadership to Seto Kouki. Koji is definitely the face of Fudanjuku, and rightfully so; he has the best vocals out of everyone, and is probably the most handsome in terms of looks. Whilst not my bias member (reserved for Renji, duh) I do find Koji extremely appealing and fun to watch. You can see that he has passion for this group, as well as a great amount of attitude which translates so well in the PV's. He's fun to watch, and I enjoy the performance he gives and his beautiful vocals which he gifts us with in every song. As Yuka, I was more surprised by the fact that she didn't have as many DVD's or photo-books as I though she would, however it seems that Yuka is serious as a singer and actress, which is very respectable. Kyomo is an original member of the Nakano Fujo Sisters, joining the group in 2006 before their debut four years later. Outside of her activities as an Idol, Kyomo has been an active Gravure model since 2005, and has currently released 19 photobooks, 3 photobooks and has also starred in movies, Television shows and stage plays. In July of 2016, Yuka revealed that she had gotten married. Her husband has not been named or revealed. 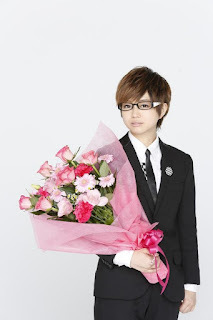 Kyouhei is an original Fudanjuku member, and officially debuted with the group in 2008. A hobby of his is visiting Kaitenzushi restuarants/sushi bars, and has a very cool image about him which rarely seems to falter. He loves animals, especially reptiles, and has a pet chameleon named Ginji, and hopes to one day own a pet snake. 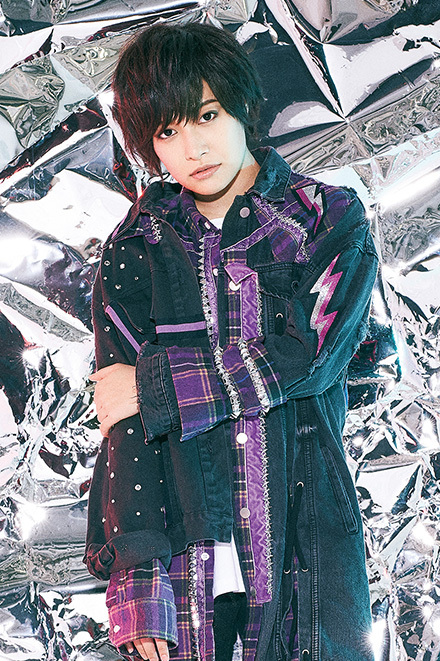 Because of his cool personality, he seems to be a bit of Tsundere in personality, but is actually very caring towards the members (more so Uramasa, it seems) and also very sincere. Apparently, he also really loves ramen. Kyouhei graduated from Fudanjuku on April 5th, 2016, a day before his 30th birthday. It can be assumed that Kyouhei's reasons to graduate were because he wanted to fully experience an adults life, and wanted to see Fudanjuku grow with new generations. I really like Kyouhei, and he is one of my biases when it comes to Fudanjuku members. He has this very striking cool image which I like, and his features are very striking and remind me of a very handsome boys features, such as his beautiful cheekbones (kyaa!). He also has a gorgeous, husky voice, one which I doubt I could ever get tired of. I find Kyouhei very appealing as a member, and just so beautiful to look at... I swear, my heart will be his one day! As Kyomo, I can really see the resemblance between both her and Kyouhei, but she looks so pretty as a girl and so handsome as a boy, it's rather weird to know that they are both one person! If anything, I will regard them as siblings from now on. When it comes to her career, I am really surprised by the amount that she has released as a gravure model; Kyomo seems to be very popular, and very loved, by her fans, which is no surprise, because she is so cute! 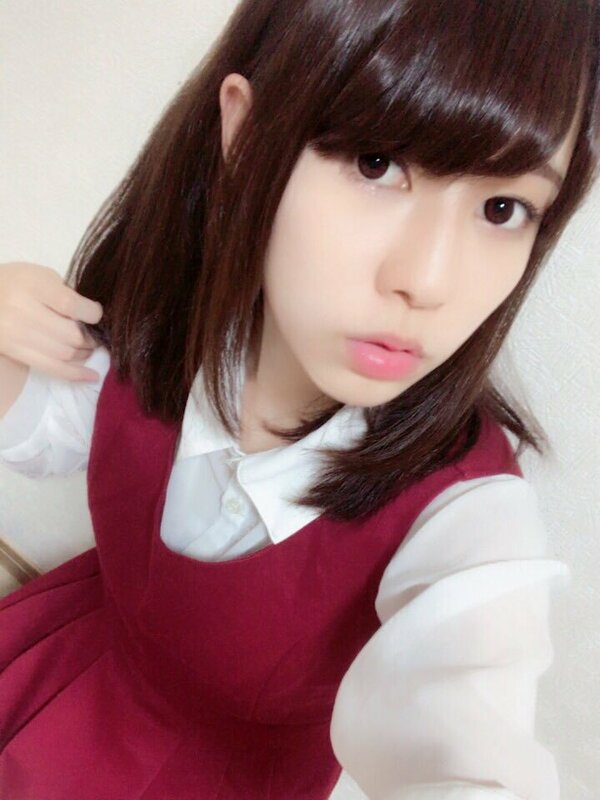 Makichi is a former U-15 Idol who has been active since 2008, and is currently still in high school in Osaka. She has been a gravure model since 2009, and has since released 8 gravure DVD's and appeared on Television a few times. 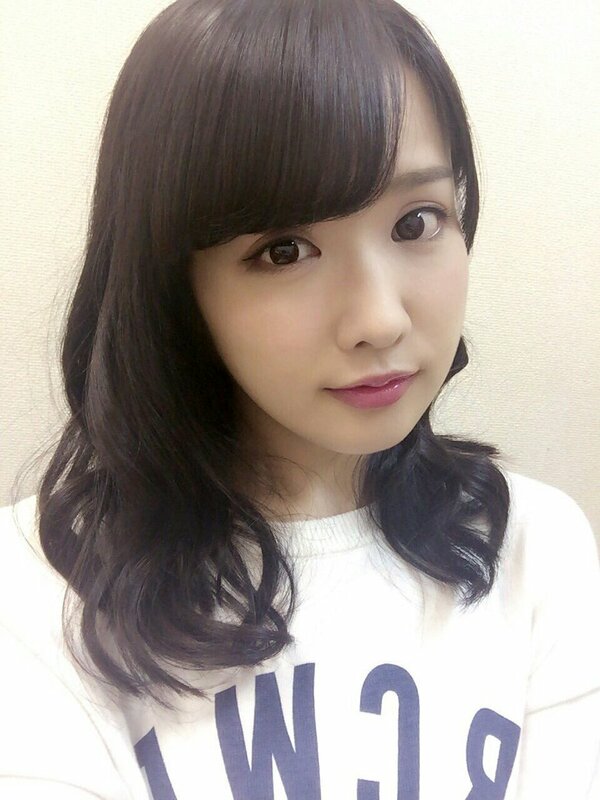 She is a fan of NMB48, and the youngest member of the Nakano Fujoshi sisters at age 19. She joined the group in December 2011 alongside Aihon, and wanted to be popular with her freshness and to become Number 1. Makichi still goes to see the other members of Fudanjuku regularly, and is still a big fan of high school baseball. 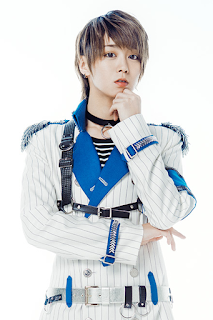 Ryouma is currently the youngest member of Fudanjuku, and joined in December 2011 before debuting officially with the group in Kaze Ikki in early 2012. Ryouma joined the group under the belief that he will find the dream that he has been looking for. From first glance, Ryouma seems like a quiet and shy boy, however he is very passionate on the inside. Out of all the members, he looks the girliest and has a little sister image. Ryouma is described as cheerful and energetic, though his innocent and shy look doesn't show it. He tries his best in everything that he does. It has been noted that his voice hasn't changed yet. In October 2015, Ryouma graduated from Fudanjuku after 4 years of being a part of the group. Though it was a graduation, he announced to his fans he wanted to leave on a stage of smiles, not tears. So, even when the other members wanted to cry, Ryouma commented that everyone laughed with him until the very end. Ryouma is the token sister of the group, the person who the fans and other members will see as the girl because of his cute and feminine features. He seems like a very shy and innocent boy, something which is very befitting of the youngest member of the group. Out of everyone, I do think that Ryouma has a certain air of freshness about him which makes him stand out around everyone else, despite how quiet he may seem to be, and I always find myself looking for him in video's. He's adorable, and I want to hug him! I actually wish that I could hear more of him, but if his voice is still gentle like it was in Kaze Ikki, then it is understandable why he is seen more than he is heard. As Maki, I was surprised by the fact that she was so young and a U-15 Idol. She has a very sweet face and is a very cute girl, though her eyebrows immediately remind me of her male counterpart. Out of all the members, she resembles her male counterpart the most. She also reminds me of the actor Koji Seto in looks. I'm surprised that they aren't related, actually, they look so similar! Kyanchi is an original member of Nakano Fujo Sisters, and the leader of the group since 2011. Outside of her male alter-ego, Bukiya Momotarou, Kyanchi has released 13 Gravure DVD's, a photo-book and has appeared in various Drama's, Television shows, stage plays as well as voice acted for the game Gundam Assault Survive and appeared in the horror movie Sadako 3D. She is also good friends with Nakagawa Shouko. She is still dedicated to following Fudanjuku as a fan. 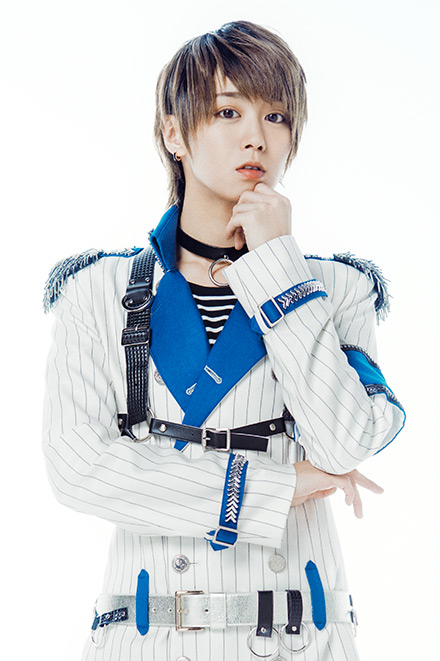 Bukiya Momotarou is an original member of Fudanjuku, and the leader since 2011 when fellow member Shijuuin Yousuke graduated. Momo enjoys anime more than he does studying, and so he joined Fudanjuku without his parents' knowledge. He is a little scatterbrained, and he hates violence. It is his dream to one day open a used-book store. As a member, Momotarou is probably the one who strikes me as the member who loves the group the most. He is a very dedicated member, one who puts everyone else first before himself. The song that he wrote during the lyrics senbatsu, Fu Ranger, was written with the group in mind, whilst the other members wrote more so about themselves or something that related to them. To me, Momo is very fitting of the leader role because of his love for the group. Mariru joined Nakano Fujoshi sisters around 2008-2009, after Fudanjuku's debut single was released, however she has been active as a tarento since 2003, and has appeared in several shows on Television, including voice acting. She has also released 4 gravure DVD's, a didgital photobook and a calender. It must also be noted that she was the Race Queen of the Year for 2005, and has an official racing licence and is considered to be Japan's first gravure racer. Her real name is actually Mari, however it is rumoured that her name Mariru is derived from Marill, the Pokemon. Much like her male counterpart, Mariru is a manga and game Wota, a love which has lead her to a great collection of over 13000 manga books, 7000 games and 1000 first edition Anime DVD's. She is a self-titled Manga sommelier and fighting girl. Also, she was in the Ski-club in highschool and does boxing. After graduating from Fudanjuku as Ruhara Renji, Mari has since become a published author of the books, Watashi no Karada o muchiutsu kotoba (2014), and Niche ga Kyoto ni yatteki te 17 sai no Watashi ni tetsugaku no koto oshie te kure ta (2016). She is also a columnist, general writer, and a philosopher. Renji is, in a sense, a second generation member of Fudanjuku, and is hot-headed and enjoys fighting to the point where he was suspended on the first day of school for fighting with an upperclassman, and has been suspended countless times for fighting since then. He joined Fudanjuku in an effort to stop getting into fights. He has a scar on his right cheek (which magically healed in October 2011 during a concert skit), however it is a mystery to as how he got it. Renji is a known narcissist, and takes plenty of pictures of himself, even if they all look the same. He is a dedicated Wota, the most traditional in the group, and is a complete fanboy, once calling Ono Daisuki the "Teacher of his heart" on his blog. Whilst he may look cool and silent, he is actually very fond of his bandmates, especially Kanbee (graduated) and Kouki. In early 2013, Renji took a break from activities in Fudanjuku, due to poor physical health. When it became apparent that his health was not improving, Renji graduated from the group officially on August 20th, 2013. Regardless of what you say... Renji is not female in my eyes, and never will be. RENJI HAS BALLS! Youko joined the Nakano Fujo Sisters as an original member in 2006, and later became a member of Fudanjuku in 2008 as Yousuke. She was the original leader of both groups, before passing down the title to Momotarou after her graduation in 2011. She has been active as a gravure model since 2003, as well as been a part of the unit Ragna☆Girls in 2007 alongside Konan Yuka, who also joined Fudanjuku before their official debut. Currently, Youko is a freelance cosplayer. She decided to leave Fudanjuku after turning 30, in order to take on solo activities. She recently became the president of her own company, PPEnterprise. As Yousuke, he was a very dedicated leader and one of the most responsible members of the group. He also had a crush on Koji in TV skits, which he never admitted to. I am surprised that she is 30. I seriously am! Nothing much is really known about Piro as a whole other than the fact that she has retired from the entertainment industry completely as of 2010, apparently due to health reasons. 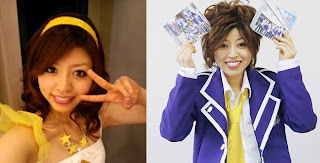 Piro became a part of the Nakano Fujoshi Sisters and Fudanjuku in 2008 alongside Renji, whom she was close to, however she left the group a year later, having only been in two singles and an album. She entered law school in 2009 at Rikkyo University. I really really hated her wig. I honestly hope that they burned it. Suzanne left before the group even began activities, joining back in 2007 only to graduate a year later, and was the original owner of the colour Yellow, and was a more feminine character than Kanbee was. Since graduating the group, Suzanne has gone on to be a part of various disbanded groups and units such as Pabo, which included Satoda Mai of Country Musume. Her career began when she was 14 years old, after being scouted and debuted as a model soon after. She has been active as an actress in movies, drama's and TV shows since 2006 as well as voice-acted, been in a music video and has her own DVD and 3 photo-books. In 2011, she married Fukuoka Softbank Hawks player/coach Saito Kazumi. She may have appeared briefly in the PV for Otokozaka. Dat Wig... Burn it. BURN IT!!! Yuuko was an original member, joining the Nakano Fujo Sisters in 2006, before Fudanjuku was created. She graduated before the official debut of either groups, and was originally the Train Wota of the group. She had worked as a salesgirl inside a train beforehand, and is known for her love of trains even now. She has been active on Television, Radio, has released DVDs, is a gravure model and, if the terrible translation is correct, she has also written two books. Her Idol genre is railway. 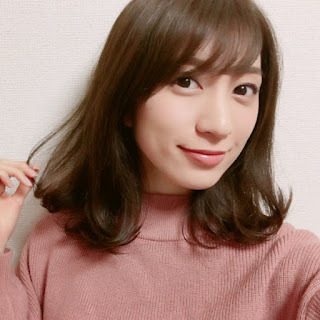 Nanba An was an AV actress before and after joining the Nakano Fujo Sisters in 2006, however she left the group before they debuted as Fudanjuku, or before Fudanjuku was even created. She was a top video actress before she even joined the group, and has released more than 250 adult video's, and was described as Japan's Geekiest adult video actress. In 2008, she retired from the entertainment industry all together. She was very much loved in her area of expertise it seems, and I have nothing more to say because I have no idea who she is. Ruike joined Nakano Fujo Sisters in 2006 as a part of the original lineup, but graduated before activities could begin and possibly before Fudanjuku's formation. Ruike was a former Barrel Idol, an Idol who has a stomach sticks out or is chubby. She has appeared in DVD's and shows, but retired from the entertainment industry in 2007 due to asthma. Anri joined the Nakano Fujoshi Sisters as an original member in 2006, however graduated before the group debuted and possibly before Fudanjuku was created. She has been a part of other units before Nakano Fujoshi Sisters, and has been active in movies and stage plays. She has also released Gravure DVD's. She has been active since 2004. And that's all of the profiles! Hopefully this article will help some of you who are still finding out about Fudanjuku, and will ease some of your research if you don't particularly like looking through various different sources for background information on the members or the group! I still have a long way to go with learning about Fudanjuku, especially their personalities, but for someone who doesn't really watch Skits or TV shows, it's harder to find out more about the guys because I have so little interest in TV Shows... but from what I have learnt through my own research and looking up everything I can about Fudanjuku and the members as a whole, I have come to like them more, and have also realised that their management really likes the girls who have background experience, especially in the Gravure area. Then again, I guess it helps (and pays) to have girls in a group with existing fanbases and prior experience in a specific area. Fudanjuku is a group which really does amaze me; they have an average age of about 26, and only one of the members is currently a teenager; it honestly amazes me that the group is able to go stronger now, especially when there are so many children running about in the Idol industry (See: Morning Musume, HKT48, Prizzmy). But it seems that Fudanjuku's strength is down to their originality as a group, and how loveable and passionate they are about what they do. Fudanjuku are a great group; they came together as the Nakano Fujoshi Sisters in 2006, debuted as Fudanjuku in 2008, and have since released 8 singles with their 9th on the way in 2013, two original albums, a collaborated album with Nakano Fujo Sisters, 2 digital singles and a DVD alongside their female counterpart as Fudanjuku. They have also been given a manga adaptation courtesy of Arina Tanemura following the school lives of the members. Since before their debut, they have lost seven members, only to gain five existing members next to the original three that we see today. Ever since then, they have only grown stronger as a group, and now they are really reaching out, hoping to go International. I love and adore this group, and I hope that after this post many others will come to appreciate and know this group like I and many others do. Fudanjuku are amazing, and I hope that people can see this, even if they don't become fans of the group. If I have missed anything out, be sure to tell me in a comment, but I tried my hardest. You should have seen the amount of tabs I had open just for this article. Sharing the Fudanjuku love, and wishing that they are more well known after this. Very very good article. Complete (I didn't know the former member exept Yousuke and Kambey) and with a lot of passion. I love Fudanjuku, My very first love is Momotaro and after, all the other, but I'm from Argentina (south america) and is more difficultly for us, Fudanjuku's fans, to follow our beloved. Yes, there is a page "Fudanjuku para fans en español" where there are fudanjuku's song with spanish translation, but it's not enough.... Now I'm sad for Renji's graduacion.and I hope they will share it with all fans in internet as they made for Yousuke graduacion. wow I don't know there's so many member (the only graduated that I know were yousuke and piro. favorite member are Koji and kensui <3 !!! oh yeah...and renji had graduated, TAT!! A late (LATE) reply! But yes, there are many members. When I started to look for the groups former members I was surprised too! And yes, Renji has graduated, I was really sad ;____; I loved Renji! Fudanjuku is boy / girl?. Fudanjuku is a girl group, but they all cross-dress as boys! *O* This was very, very helpful thank you so much! A late reply, but you're welcome! I really wanted to share the group with everyone as much as I could! I'm a new fudanjuku fan,, I find it very hard to find out more about fudanjuku because of the language barrier. I honestly would not know, if only. I have a feeling, like most Idols, Ryoma felt she / he had reached the point where they had experienced so much, and that they wanted to focus on other things. Who knows? Thank you so much for these information since it is really difficult for us international fans to get all their update. You're welcome! I admit, it's hard to find stuff on Fudanjuku, though they're quite well known in the Jpop community! I will try my best to keep this page updated for everyone! Oh very good informations.I waited for update. Leo is smell otaku.OMG,I was shocked. Thank you very much.I learn so much from here. My current favorite is Light.Also I love Renji,Uramasa,Ryoma and Yousuke.And all Fudanjuku members. Aha,I was like 'wait, otaku of smell!?' I was surprised by it, but Leo is unique! I am glad it is informative for you! I really love Light, too. Light is takingplace of Renji in my heart. But, it is true, all Fudanjuku members are great. Can I use this information in my blog?I put your link at the end.As information source.